In the world of fashion, style is the king but there’s a slight problem — unlimited options. Picking the right style can be exhausting but I’ll share with you my fashion secrets. With my help, you’ll undergo an incredible makeover and feel like a new person. Let the magic begin! Get a package of 2 or more services and receive 20% off! Getting into your closet is intimate but I want to get to know you more, your hobbies and your career. I want to know what you like and dislike in order to organize your closet and teach you how to combine garments and accessories. To do these, we’ll have a one-on-one consultation about what colors and silhouettes fit your body. Then we will eliminate unflattering and outdated pieces, and decide on the missing pieces. Who says shopping can’t be fun? We’ll schedule a day for a personalized shopping according to your style and budget. We’ll make it as enjoyable as possible and you don’t even have to deal with the sales people. Handpicked pieces will be averting for you at the fitting room. During the break, your lunch is on me. 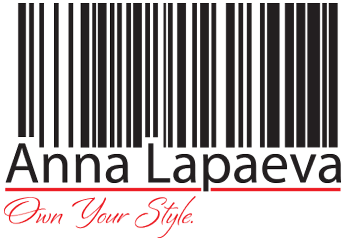 If shopping isn’t possible, I will bring the garments that fit your body and personality right at your doorstep. All you need to do is to try them on and give me the thumbs up. Based on the event, I will assist you put together a complete look including clothing, shoes, accessories, and make-up and hairstyle tips. Styling for commercial photo-shoots and marketing campaigns. Worried about what gift to give to your family and friends or a colleague? Just give me some ideas about your friend and I’ll do the gift hunting for you — I guarantee that you’ll see the lovely smiles on their faces once they receive those nicely packaged presents. A book with head-to-toe outfits that you can mix-and-match for every day and occasion. Feel your confidence boosted after your magical transformation. Even better is to capture the very moments you feel like walking on clouds. I will style you for a professional photo shoot at the studio or outside. Plus, you’ll receive tips on how to pose to get your best look. We’ll just be creative and have fun. After arriving at the nirvana of your style, it’s time to think about the next step to changing your personal and professional life. Now is the time to update your online profiles on LinkedIn, Facebook or your eHarmony account — I’ll ensure that you have the brightest look. I accept Visa, MasterCard, Discover, American Express.